The overall situation in UNIFIL’s area of operation remains calm and UNIFIL is working with all interlocutors in order to maintain the overall stability. UNIFIL peacekeepers have further increased their patrolling along the Blue Line, together with the Lebanese Armed Forces (LAF), to maintain the overall stability and avoid misunderstandings that could lead to any escalation. UNIFIL Head of Mission and Force Commander Major General Stefano Del Col is in close contact with both LAF and the IDF, and is again urging all parties to use UNIFIL’s liaison, coordination and tripartite mechanisms in de-escalating any tension. UNIFIL’s liaison teams are operating on both sides of the Blue Line. 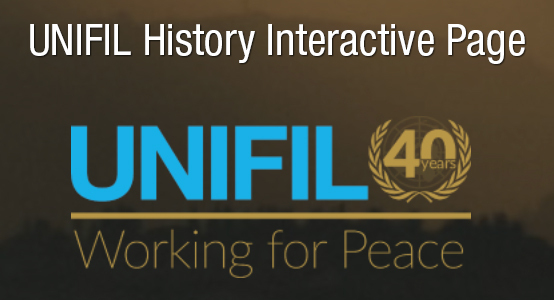 UNIFIL monitors the Blue Line around-the-clock and reports all violations of the UN Security Council resolution 1701, which forms the core of UNIFIL’s mandate.